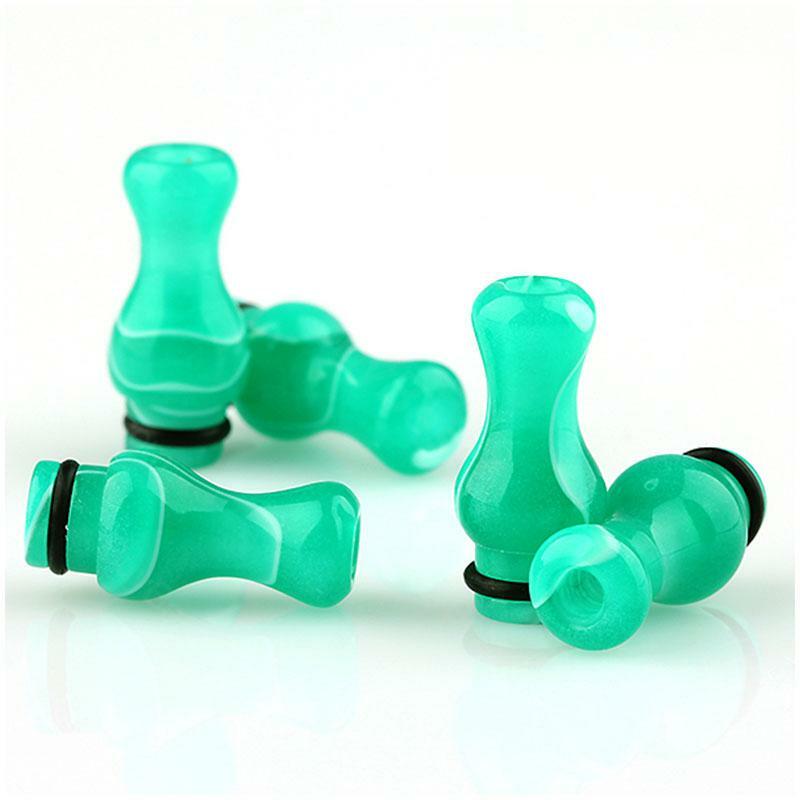 Celluloid Drip Tip for e-Cigarette are made of acrylic, which are 5 pcs per pack. The drip tip can work with most e-Cig tank atomizers. • Please rotate the drip tip when you are inserting it into the atomizer! • It's safe and can be easily rinsed with water. • Different from other colored drip tips, light green and pink drip tips come in a cylindric shape.